This statistic shows the total number of immigrants in the Netherlands in 2017, by continent. 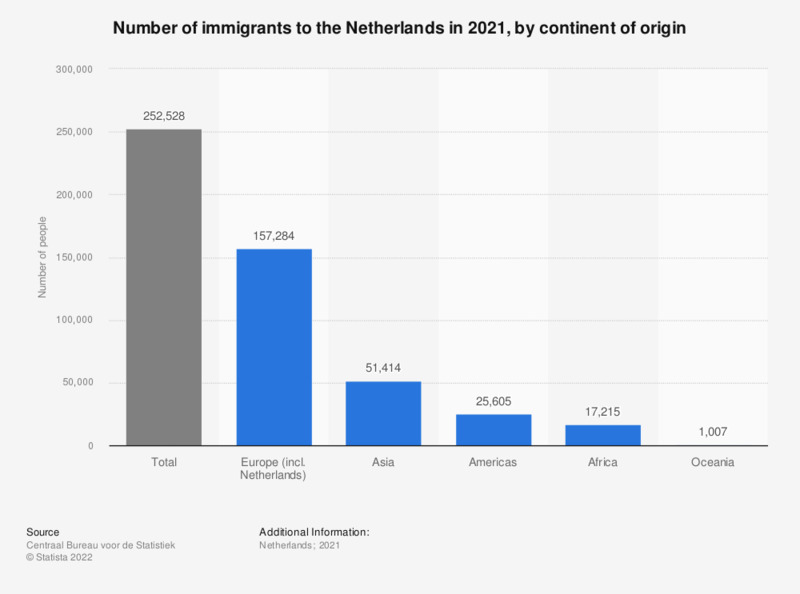 It reveals that the large majority of the immigrants in the Netherlands in 2017 came from other European countries (140,779). Immigrant: person moving to the Netherlands from abroad. Included are those registered with the municipal authorities, which is compulsory when the expected stay in the Netherlands is four or more months.